I *think* I ovulated yesterday. I used CBD Advanced OPKs this month and got my flashing smiley face (high fertility) on CD 14 and solid smiley (peak fertility) on CD 15. I definitely felt like I was ovulating yesterday. My ovaries hurt SO BAD! Especially the left side. TMI but my RE said to BD on days 10, 12, 14, and 16. I was totally not going to follow that schedule because of using the OPKs and not wanting to make things happen if the mood wasn’t there. But it so happened that it just worked out that way. Anyhow, I still have tenderness in my ovaries today so I don’t know what that means. Hopefully nothing sinister. My LP is usually 13 days so… now, we wait. Lord if it’s Your will! Remember how how I said that maybe I had ovarian cysts that were preventing my cycle from coming? Well, it finally did come on CD 47 (!!!) which is the latest I have ever been without being pregnant. But I really don’t know why it was so late. They did an ultrasound while I was there and the Dr asked if I had ever been diagnosed with PCOS because my ovaries almost looked that way. Even I could definitely see lots of black spots (cysts) on them. I told him I hadn’t been diagnosed with that before (thankfully!) so he ordered AMH on the blood work as well. It came back at 6.87ng/ml which is within normal range but actually higher than when I was 22. ETA: I am actually a little confused about this. Higher AMH is usually thought to be good because it points to higher ovarian reserve, but I’ve also read that it can indicate PCOS… He didn’t say anything about the cysts making my cycle late though so maybe my theory was bogus. The Dr didn’t seem overly concerned about the cysts…? I am supposed to follow up in Feb. So, this should be a quick update since there really isn’t much to say. Last month was a flop as I never really determined what was going on with my body. I think I f inally ovulated around CD 22 even though I had thought I was ovulating around CD 14. 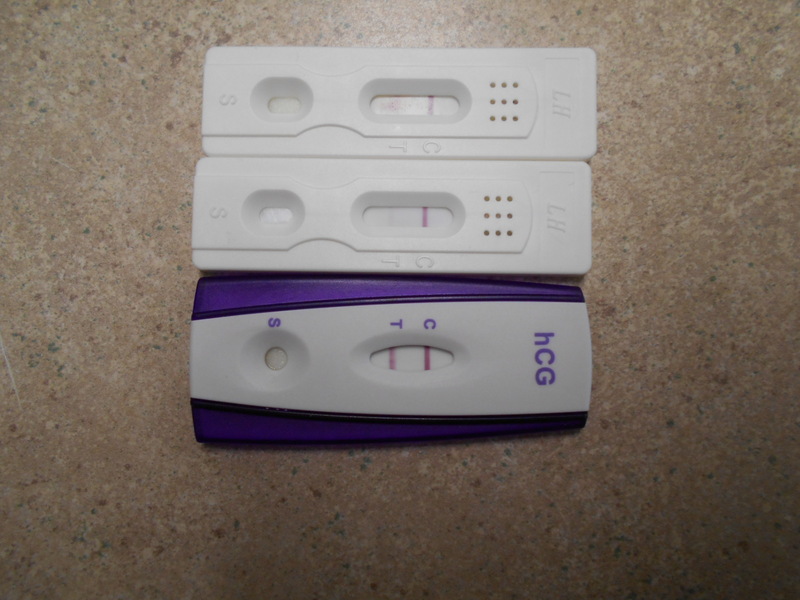 We most likely BD around whatever was my actual ovulation. So basically I had a forever 2ww. It was a bit torturous for whatever reason. * DH and I both decided it was just too stressful to think about it right now and made the decision to not track my cycle for now. No OPK’s etc. I don’t know what CD I am on now and it is very freeing! It is hard to let go but it feels so much more “natural” this way. If you think about it, “normal” fertile couples don’t half the time even know about, much less understand ovulation and they get pregnant ALLLL the time. Therefore, we shouldn’t have much less of a chance of hitting ovulation than they do. The name of the game for now is not trying/not preventing. I know I should have AF (period) come around Christmas time but I don’t know what day and I’m not getting the calendar out to check. I know my cycles are probably still going to be wonky for a bit due to breastfeeding so I’m taking that into consideration. I’m very careful to take my low dose aspirin every day in the off chance that I may conceive since it is absolutely vital that I be on some form of blood thinner in order to have implantation and sustain a baby. *I was talking to someone the other day about how awful it felt to spiral back into the world of obsessive TTC and I realized that probably the reason why it stresses me out so badly to track my cycles now, even though I am not desperately wanting another baby at the moment, is because it takes me back to THAT time period. The desperation of those years. The futility and struggle and fear. It’s like a horrible f lash-back and I don’t know how to just “normal people” try for a baby. It’s all or nothing. So I have to do nothing right now for my sanity’s sake and also because I don’t want to miss out on my babies that I already have because I am struggling to have another. I just want to place it in God’s hands and see what He provides. I am not against the idea of trying in the future, but for now I just have to step back and let it go.